Babe is the perpetual new girl in town. Her father's job frequently moves the family around the country, and Babe just longs for a place to call home. As she settles into the sleepy town of Sugar Dunes, Florida, Babe begins to have strange dreams of a green-eyed boy named Zat. Night after night, Babe shows Zat her world. But the dreams come at the cost of nearly crippling migraines every morning. Babe’s life outside of her dreams pales in comparison to her growing love for Zat and their time spent together. I'll admit I didn't know anything about Dream Me prior to reading it. I was taken in by the gorgeous cover art and the title. They both intrigued me and I knew I wanted to know what it was all about. I went into it only knowing a little bit about the plot - I wanted to be surprised. It did take me a while to actually read it but I eventually got around to it. Zat is a dreamer from the distant future - a future where no one dreams and Earth is a wasteland. Zat dreams of the Earth from the past and of a girl called Babe. Against the advice of his peers he decides to risk everything to travel back in time and live in Babe's dreams. Babe is the new girl in Sugar Dunes, Florida. Her father's job means they frequently move and Babe just longs for a place to call home. Soon after moving she begins to have dreams of a boy called Zat and night after night she shows him her world.The dreams come at a cost with Babe experiencing crippling migraines each morning. The more time the two spent together the more Babe's pain increases and Zat begins to question his existence. How can he live a life with Babe? Can a dream really become reality? 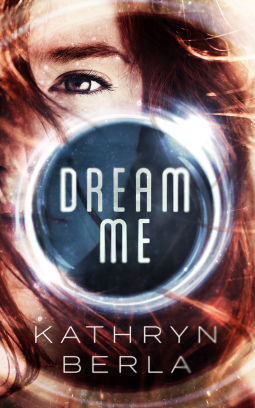 The premise of Dream Me on paper seemed really exciting but when it came to reading it I was rather disappointed. The world-building was all over the place, especially when it came to Zat's life. The idea of a future where there are no dreams, time travel and wasteland seems like a great concept right? Well there was little explanation about Zat's world within the story. You got glimpses but nothing was really explained. If you are going to write about a dystopian world you need to build it and give more description than the bare minimum. It put a downer on what I thought was going to be a well detailed part of the plotline. A lot of things that could have been included in this book were left out. For example most of the characters were underdeveloped. Babe, our main character, I felt had no depth. I felt like her personality only scratched the surface of what could have been an amazing main character. You'd expect a main character to have complexity but Babe just didn't. I also found Zat to be rather boring. You didn't get to know him well at all and he was lacking personality. A few background characters I wanted to know more as well. LeGrand - there was a side to him that had started to be explored but it was forgotten by the end of the book and Mai, she was probably my favourite character in the book and still I felt like there was more of her that could have been explored. Also with Mattie Lynn, you think she's going to be the typical mean girl but she is instantly forgotten and she only pops up in the story here and there. Very frustrating. Despite this, I did love the way the book was structured with Babe's POV, her blog and Zat's POV. I do love books with dual narratives and it was interesting that Babe's parts were in first person and Zat's were in the third. That could be confusing to some but to me it was perfect. Having read books with that kind of narrative before it was easy for me to follow. The writing style was also something that kept me reading. It was so descriptive and some of the sentences used were beautiful. I love writing that makes you feel as if you are there in the fictional world and this was one of those. Dream Me despite it's beautiful cover art and great concept fell short for me. The worldbuilding could have been developed more as well as many of the characters. Also, the insta love between Babe and Zat was something that I just couldn't believe. This could be due to my dislike of insta love in fiction mind you. 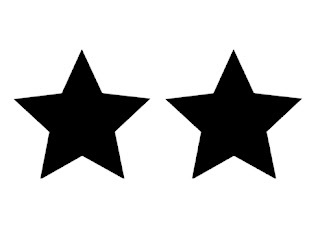 However, I loved the writing and the descriptive feel of it and the way the narrative was structured. If a fews tweaks were added, I feel that this book could have been great. 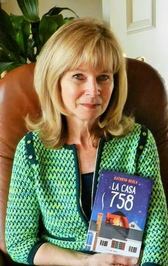 Kathryn Berla is the author of La Casa 758 and the YA Romance 12 Hours in Paradise. Her novel Dream Me was released by Amberjack Publishing on 11th July 2017. Kathryn loves to write about whatever happens to float through her mind and linger long enough to become an obsession. Her interests vary; hence; her genres ranges from sci-fi to horror to literary fiction. 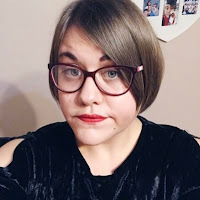 Kathryn graduated from the University of California in Berkeley with a degree in English, but she takes the most pride in having studied Creative Writing at the University of Nevada.She currently lives in San Francisco with her three sons and husband.